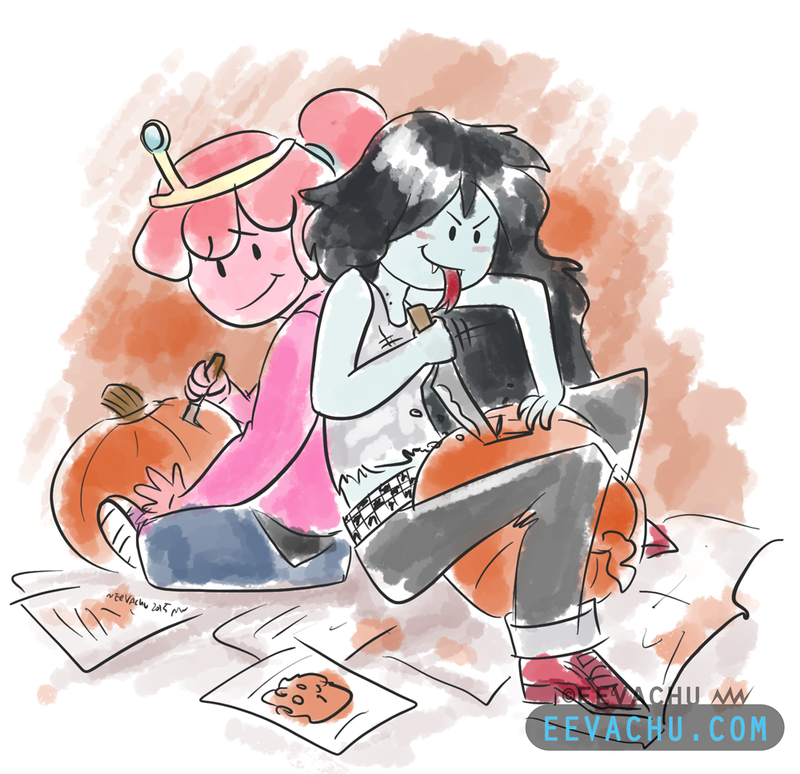 Candy princess and vampire queen carving a pumpkin and goring a pumpkin, respectively. It’s hard drawing on my Surface on an express bus btw. Very bumpy. Many stares. Would not recommend. 2015. Adobe Photoshop CS6; Paint Tool Sai; Surface Pro 3; Original is 1732 x 1676 px.